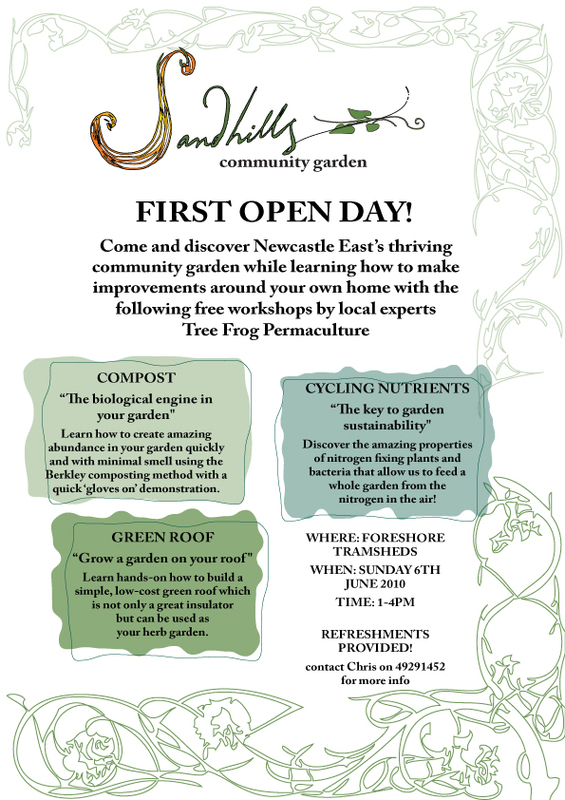 This summer Tree Frog will be putting on a series of workshops in Newcastle and out on a fantastic “No-commitment permaculture lifestyle” property near the Watagans, 45 min from Newcastle and just over an hour from Sydney. Email Chris at TreeFrogPermaculture@gmail.com to join our mailing list, and add us on Facebook for regular updates. 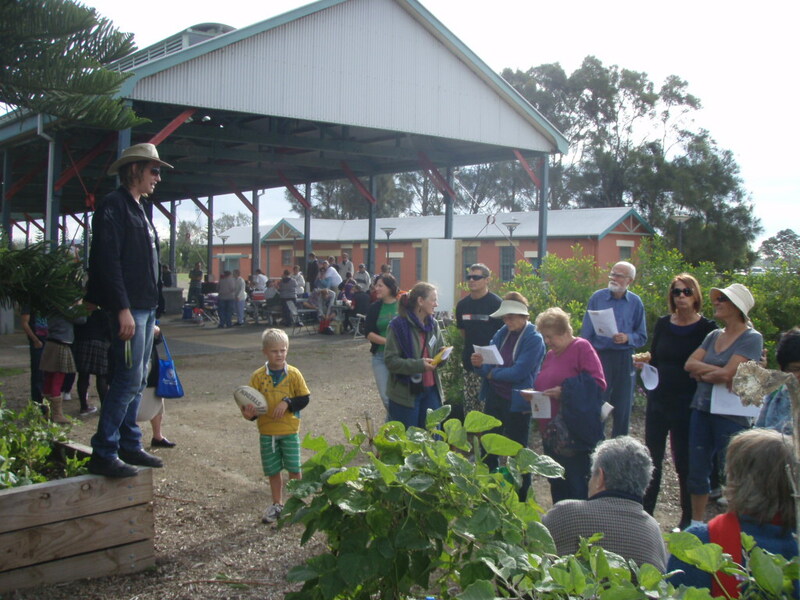 Tree Frog Permaculture will be putting on another afternoon of workshops at the Sandhills Community Garden after a very successful turn out for the first set. 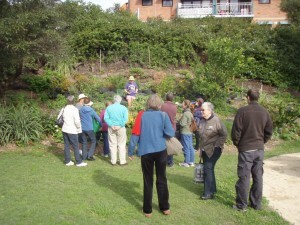 These workshops will be on “Pruning with confidence” and “Making clones from your cuttings” and will be held from 2 to 4pm on Sunday the 1st of August and are completely free and open to all! A great turn out and a great day. 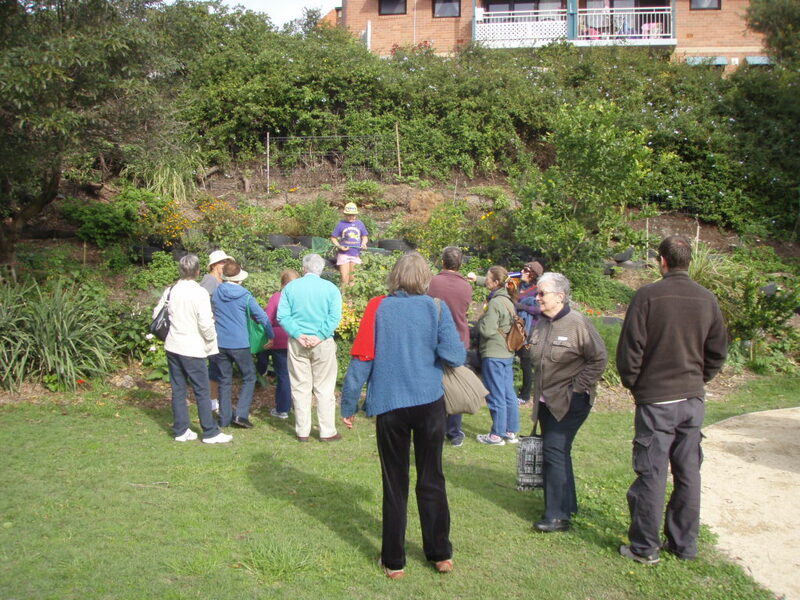 Over 50 gardeners and friends came to check out the gardens, have some refreshments and get involved in the workshops. The sun held out for most of the day and a great time was had by all! 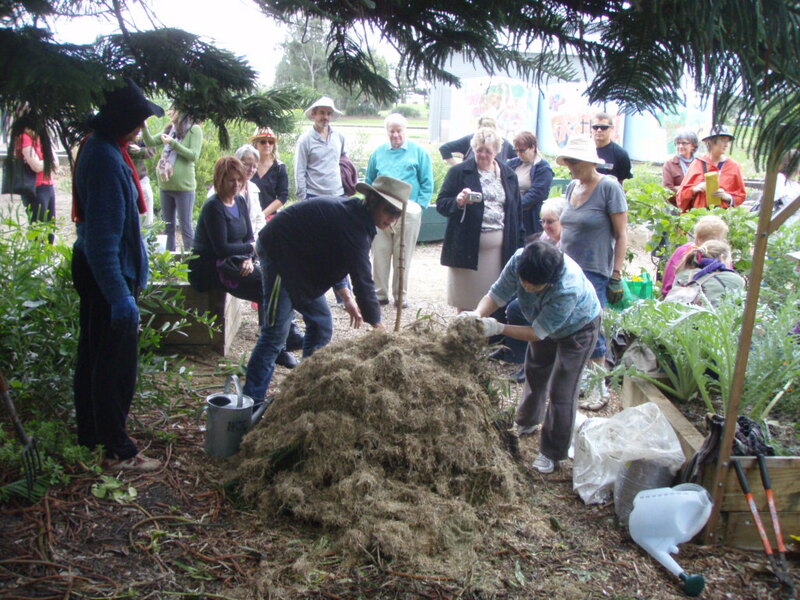 The composting workshop was a success with a huge layered Berkeley compost heap being created. Compost is on the way! Chris and Beck from Sandhills were a great help. 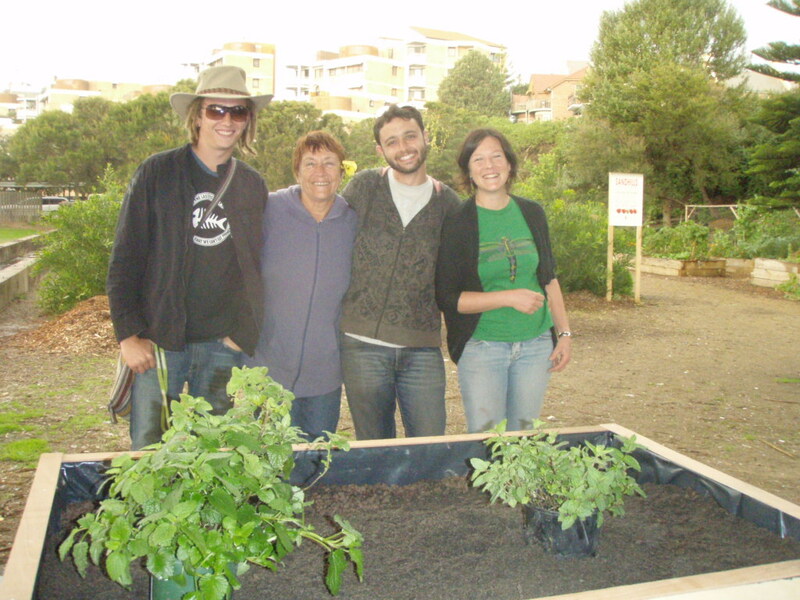 Beck put on a workshop on green roofs, a top permaculture tool – a great creative use of space with amazing benefits for heating and cooling. A guide to the biological engine in your backyard. Compost is Aerobic decomposition. 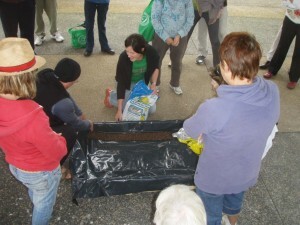 The bacteria, fungus and microbes breaking down your compost require oxygen! They also need nitrogen and carbon in the ratio of 1 part N to 30 parts C.
Compost must be kept moist. 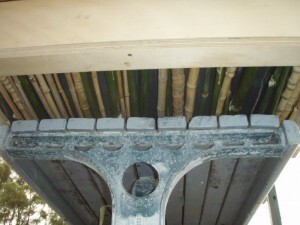 Not too damp or there won’t be enough oxygen and not too dry or the microbes will die. Size matters. 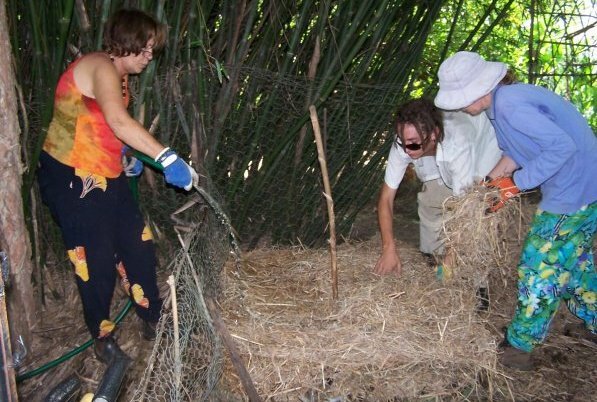 Bigger compost piles (over 1 cubic metre) will build up and retain much more heat, leading to more microbial activity, breaking down the pile much faster. Get these right and your compost will smell lovely and break down quickly. A one to one ratio of dry âbrownâ high carbon material and moist âgreenâ high nitrogen material will result in the desired 30:1 carbon to nitrogen ratio. Layers make for a great consistency. It can be hard to make your pile completely homogenous so using alternating layers of high carbon and high nitrogen materials is a great compromise. Particle size is important. Chopping, shredding or even grinding up larger pieces will give more surface area for the microbes to work on. Watch that smaller pieces do not clog up your compost though, as a good flow of oxygen is required. Start by laying out a square of straw 1m x 1m, and between 10 and 20 cm thick. Add a layer of high nitrogen material such as manure, 5 to 10cm thick. Add another layer of straw approximately 10 cm thick and wet the pile down. Continue to add layers between 5 and 10 cm thick of alternating high nitrogen and high carbon materials while continuing to wet the pile. When the pile is around 50 cm thick, place a stick in the middle of the pile to mark out the chimney. Continue to add layers around it. When the pile is 1m thick, remove the stick to create the chimney and the first stage is complete. After about a week the compost will need turning. Peel the outer layers away and pile them in the centre of where the new pile will be. Fork the inner compost over on top of the least composted outer shell. Create a new chimney and leave it for another week to completely compost.